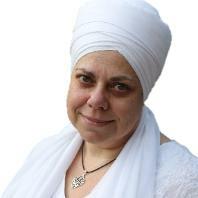 Balwant has been teaching Kundalini Yoga for over a decade. She comes from a corporate background, having worked in the IT industry for approximately 20 years. She believes that we have lost our connection with ourselves and our environment. Kundalini Yoga has helped her to go within, learning to balance life. Balwant is a Lead Trainer and works on teacher training teams in Australia and Bali. She is also a Radiant Child Yoga Teacher and Sat Nam Rasayan practitioner. According to Balwant it doesn’t matter what you look like, what size you are or how flexible you are, everyone can benefit from Kundalini yoga. It is the yoga for the regular person who has a job, has a family and has commitments. It is a technology that we can use for living a harmonious, healthy and happy life.